National Engineers Week is coming. This year’s celebration will be 19-25 February and its theme is based on the world population of 7 billion, representing 7 billion opportunities for engineers to turn dreams into reality. Want to proclaim your allegiance to CD-adapco? Now you can sport their logo on all sorts of items from their Wearables Store. Altair’s Dr. Farzin Shakib talks about why finite element based solvers are more accurate and about conservation in issues FE-based solvers in these two videos. Chalmers University of Technology in Gothenburg, Sweden is offering a course on LES, DES, Hybrid LES/RANS, and URANS for Unsteady Flows on 27-29 June. The lectures from Boston University’s CFD course are available at YouTube. The upFront.eZine Newsletter covers mobile CAD apps and says the releases of many mobile CAD viewers are precursors to an eventual mobile CAD app (not just a viewer). Lattice Technology has released iXVL Player for viewing 3D CAD models on iOS. This is their second app of this type having released iXVL View last year. CadFaster‘s iOS app for viewing and markup of 3D models is available for free. TFTLabs announced the availability of their TFTPad mobile app for viewing 3D models on Android. A version for iOS is said to be in work. CFD solution on an overset mesh in STAR-CCM+ v7.02. Image from Desktop Engineering. CD-adapco added overset mesh capability and other features to STAR-CCM+ v7.02. nPowerSoftware released ScanToNURBS, software built upon IntegrityWare’s SOLIDS++ kernel that converts 3D scan data into NURBS geometry that can be imported into Autodesk’s 3ds Max and other CAD software. Coventor, a developer of software for microelectromechanical systems, introduced a new version of their CoventorWare suite including a hex-dominant extruded mesh generation capability. Reaction Design added particle size prediction capability to CHEMKIN-PRO, their software for simulating problems involving chemistry. CoreTech Systems released Moldex3D R11.0 for simulating injection molding. This latest release has improved mesh quality among other features. Altair launched Compute Manager, the first component of an eventual web-based interface for managing HPC jobs within their HyperWorks Enterprise platform. Symscape updated their free patch for OpenFOAM 2.1.x that provides Windows compatibility, 64-bit compilation, and parallel computation. 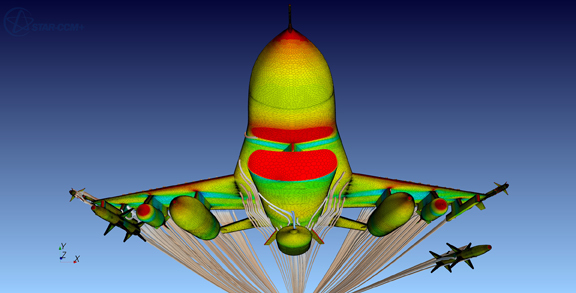 MSC Software released Patran 2012 for finite element modeling and preprocessing. CGNS v3.1.3 release 4 is now available. CGNS is the standard, interoperable file format for CFD. 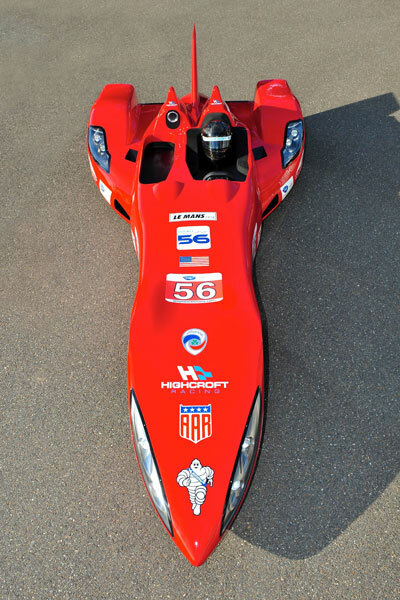 With CFD analysis complete, the new DeltaWing Le Mans race car is heading to the wind tunnel for verification testing. Engineering Design Forum 2012 will be held in San Diego, CA on 15-17 May with former NASA Administrator Michael Griffin delivering the keynote. The Conference on the Future of Engineering Software (COFES) will be held 12-15 April in Scottsdale, AZ. Dr. Alan Kay will keynote. The Avizo European User Group Meeting will be held in Bordeaux, France on 30 May – 01 June. Registration is now open for the Collaboration and Interoperability Congress to be held 21-23 May in Denver, CO. The ASME International Mechanical Engineering Congress & Exposition will be held on 9-15 Nov in Houston, TX. This entry was posted in Applications, Events, News and tagged Altair, Avizo, CadFaster, CD-adapco, CGNS, CHEMKIN, COFES, Lattice Technology, Moldex3D, OpenFOAM, STAR-CCM+, Symscape, TFTLabs, XVL. Bookmark the permalink.